A Just Words® Workshop will be offered this winter. Please check back for details or email us to receive an announcement when details are available. LTR Tutoring Associates serve Central NH as a Literacy Resource. We believe that early intervention and the use of research-based methods are in the best interest of struggling readers of any age. We strive to make available highly trained and experienced educators to provide quality instruction with fidelity and integrity. As a Wilson® Accredited Partner, we provide professional learning opportunities for educators and schools to extend their expertise. We are dedicated to providing educators with the knowledge and skills they need to help students. Learn more. Students who struggle with reading often find it difficult to achieve their potential in many areas of education. We help children and their families learn strategies to help them find success and build academic and social confidence. Learn more. Learn more. To inquire about professional learning opportunities for teachers and schools, to schedule an initial consultation for tutoring, or to learn more about LTR Tutoring Associates, please contact us. Feb 18, 2014 — It was a request Cheri McManus and Dianne Melim, co-owners and directors of Learn To Read Tutoring Associates in Concord, never expected. The Lexicon Reading Center needed their help. It just so happened the center is located in Dubai and is the first of its kind in the country. Read more at The Concord Insider. 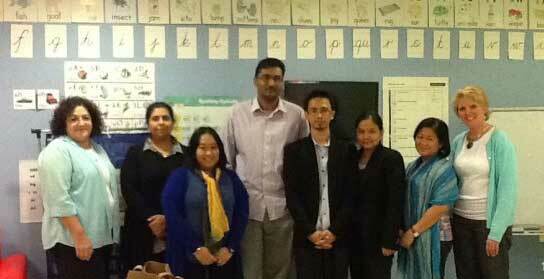 Cheri McManus and Dianne Melim with the Lexicon Reading Center staff in Dubai. The International Dyslexia Association® (IDA) has accredited Wilson Language Training and Wilson Accredited Partners. This designation recognizes that Wilson Reading System® certifications align with the IDA’s Knowledge and Practice Standards for Teachers of Reading. “That direct instruction in alphabetic coding facilitates early reading acquisition is one of the most well established conclusions in all of behavioral science. . . . The idea that learning to read is just like learning to speak is accepted by no responsible linguist, psychologist, or cognitive scientist in the research community (pp. 285-286)” Stanovich (1994), quoted in Why Reading Is Not a Natural Process. This workshop was great and well worth the trip (from Ontario Canada). It will help me with my struggling students, but also my son who has learning difficulties. Cheri is so knowledgeable! But it’s more than that. She’s energetic and fun and makes the Wilson Program come to life. I enjoyed her practical management hints. Instructor had a great sense of humor and also had great stories to add to the workshop which only made it more effective. Tons of knowledge was gained in the last three days.